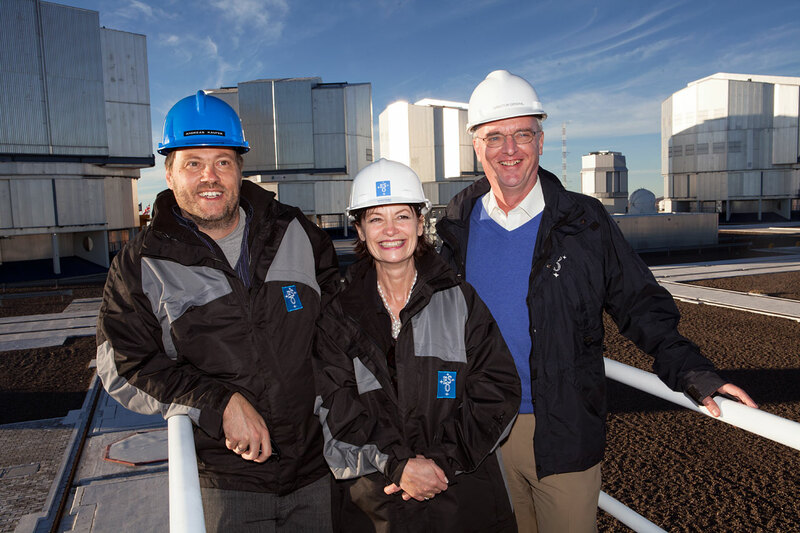 On 16 March 2013, the Chief Scientific Adviser to the European Commission, Prof. Anne Glover, visited ESO’s Paranal Observatory. Upon arriving, she was welcomed by ESO’s Director General, Prof. Tim de Zeeuw. Anne Glover is Chief Scientific Adviser to Jose Manuel Barroso, the President of the European Commission, who also visited the observatory earlier this year (see eso1305). As such, she provides him with expert advice on topics relating to science, technology and innovation, and acts as an ambassador for European science. During the visit, Prof. Glover gave a presentation to ESO staff on the role of the European Commission in supporting and promoting world-leading European science, followed by an open Q&A session. Later, at night, she visited the Control Room where observations are done and extensively engaged with astronomers and technicians to discuss their observations and work. While visiting, she declared: “I’m thrilled to visit ESO’s observatories in Chile. The dedication, passion and excellence found here are a great example of successful European cooperation producing state-of-the-art technology and resulting in groundbreaking science”. Located in the Atacama Desert of northern Chile, 130 kilometres south of Antofagasta, Paranal is home to the Very Large Telescope (VLT), the largest optical instrument dedicated to astronomy in the world, which sits on top of Cerro Paranal at a height of 2635 metres above sea level. 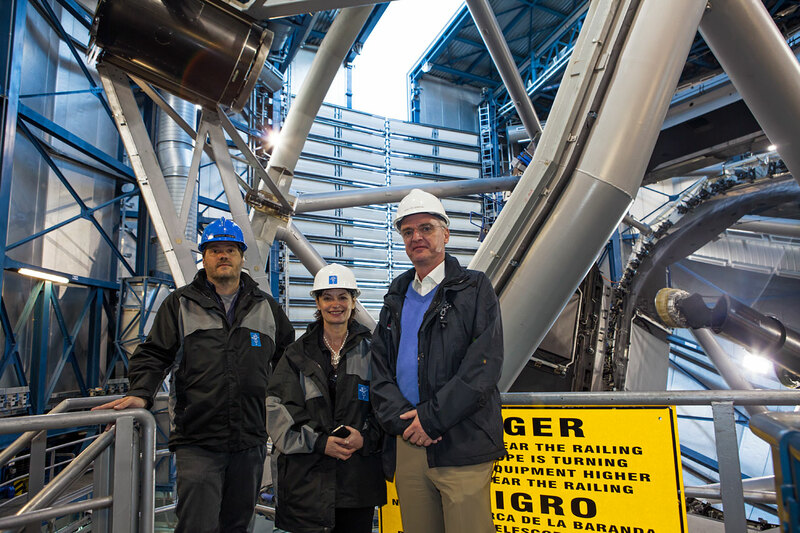 In the afternoon, the Chief Scientific Adviser visited the telescopes themselves and was able to get a sense of the sheer size of the four telescopes that make up the VLT, each weighing 450 tons and equipped with a main mirror measuring 8.2 metres across. Before visiting Paranal, Prof. Glover attended the official inauguration of ALMA (see eso1312), the Atacama Large Millimeter/submillimeter Array, a global partnership of ESO, North America and East Asia in cooperation with the Republic of Chile. ALMA is the largest ground-based astronomical observatory in existence.